See Part 2 of the tutorial, where we rebuild the frontend part of the chat app with React components. 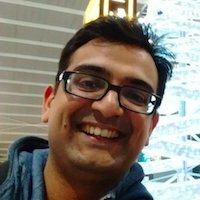 We use Github for authentication. 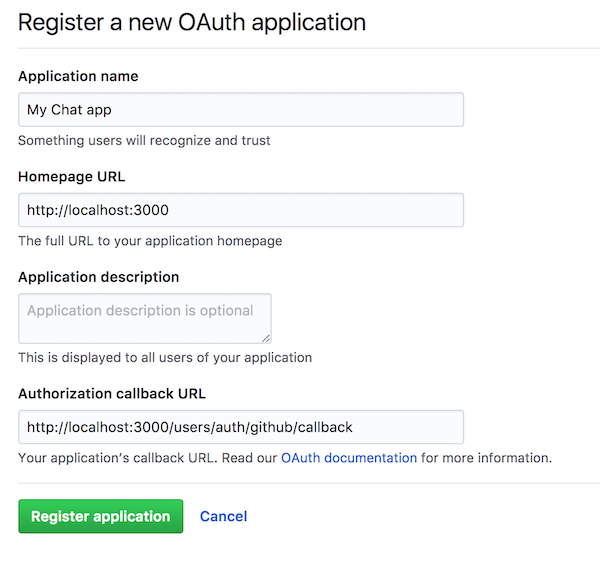 So you will need to register a new OAuth application on Github. Please make sure you set the authorization callback URL correctly. With the default devise and omniauth settings, add `/users/auth/github/callback` to your root URL. Once you've set up your Github app, Github will provide you with a Client ID and secret. You need to add these to your app's environment as `GITHUB_APP_ID` and `GITHUB_APP_SECRET`. For development, the easiest way is to put them in your `~/.bash_profile`, start a new terminal window and restart your Rails server.